Family Law: A Client-Centered Approach to Family Law Calabrese Associates, P.C. is a firm that provides personalized solutions to difficult family law problems. We will listen to you and provide an honest assessment of your case. Based on your direction, we will work diligently to achieve your goals. You will have the comfort of knowing that a dedicated team of legal professionals is doing everything they can to help you deal successfully with the challenges you face. Our firm focuses exclusively on family law: -Divorce -Child custody and visitation -Spousal maintenance -Property division -Child support -Mediation -Adoptions -Prenuptial and postnuptial agreements -Paternity -Orders of Protection (OP) -Family law appeals -Enforcement of orders -Child removal -Modifications in custody, visitation, support and maintenance -Legal separation and annulments -And other family law matters Contact us to schedule an appointment with an attorney. Putting You in Control People who are facing divorce or another family law problem often feel adrift. They feel that they are at the mercy of events and can no longer control their destiny. At Calabrese Associates, P.C., we help our clients regain control of their lives. We stand up for their rights and work to help them successfully overcome the turmoil that surrounds them. In your case, we will work to develop a solution that resolves your problem in the most positive manner possible. 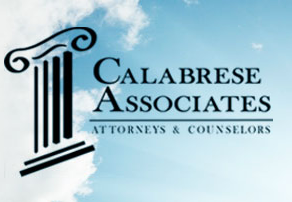 Calabrese Associates, P.C. wants to help you build a better life for yourself and your family. 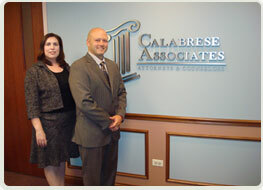 Contact a Lawyer For a consultation with Calabrese Associates, P.C., call 888-849-2905 toll free or contact us online. From our offices in Warrenville, Illinois, we serve clients in Naperville, Wheaton, Aurora, St. Charles, Glen Ellyn, Downers Grove and other communities in DuPage County, Kane County, Will County and Kendall County. At Calabrese Associates, P.C., we handle a wide range of family law matters, ranging from uncontested divorces and adoptions to contentious child custody and property division disputes. Whatever the nature of the case, our attorneys work hard to resolve each issue in the most positive manner possible, while protecting our clients' rights at all stages of the legal process. The founder of our firm, Michael J. Calabrese, has been successfully representing clients in divorce and family law matters since 1994. Mr. Calabrese graduated with honors from DePaul University College of Law where he was selected to join the Law Review and the Order of the Coif. He is a former chair of the DuPage County Bar Association Family Law Committee, and lectures on family law related issues. Ms. McCoy graduated with honors and has focused her practice in family law since 2003. Mr. Calabrese is joined by attorney Deborah A. McCoy, a graduate of Indiana University and Chicago-Kent College of Law.